Happy Birthday to my brother, Mark! Today, I have a little treat in reminiscing of the years we lived in Rome. For his third birthday, Mom signed him up for skating lessons so he could play hockey. 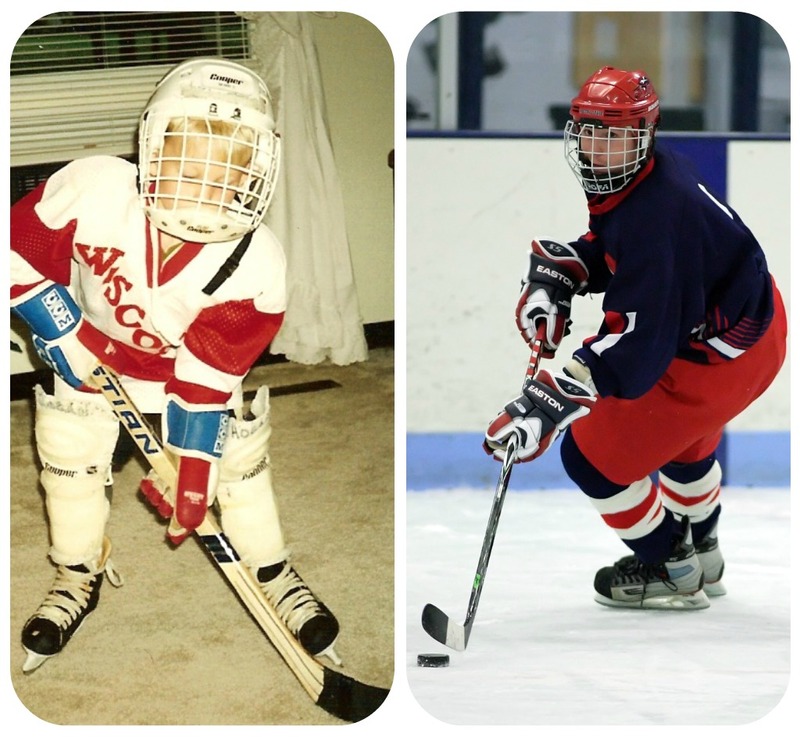 He began his hockey career in upstate NY and continued into club hockey in college. and by Rome, I mean Rome, New York. It's about an hour east of Syracuse. Last week, my husband I took a road trip that took us through upstate NY, so we stopped to see the house my family had lived in in the early 1990s. My dad was in the Air Force and we were stationed at Griffiss AFB for two and a half years. It was a rather ideal setting for Mark since he wanted to play ice hockey. As a family of four, we spent weekends going to ice rinks around upstate NY and learning the rules of the sport from the time he was five years old. I have a lot of fond memories of sitting in my parent's minivan listening to my walkman ((mostly DC Talk if you must know)). 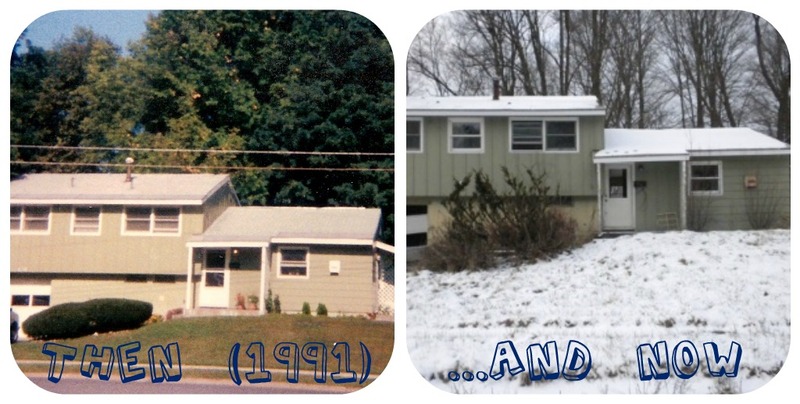 As I mentioned, we decided to check out the house we inhabited from the summer of 1991 to February 1994. The base was shut down in 1995 and apparently the housing was abandoned in the process. I wasn't prepared for the sight of looted buildings that were once homes to many Air Force families as we approached Saturn Drive that cold winter day. A street that held so many happy memories for the eleven year old me, was now eerily silent and unplowed with a few inches of snow covering it. My husband drove slowly down the street and I quickly recalled names of the families I remembered living there. I pointed to several houses saying, "her dad was a flight surgeon...a chaplain lived in that green one, they had five kids...and that was a friend's house then I baby sat the little girls that moved in after." 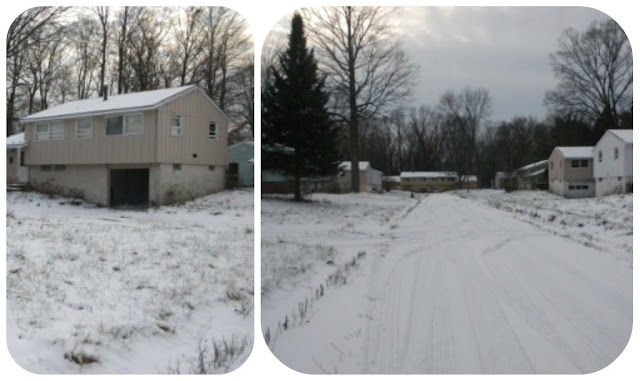 I was overcome with emotion as we got closer to 3014, the house my family occupied. It wasn't unlike the others, its bushes overgrown, windows smashed in and abandoned. A house across the street had graffiti on it. I got out of the car and stood in the snow-covered street, telling my husband how we'd get so much snow they'd send in the runway plows and dump trucks to remove the snow so we could keep the sidewalks clear in the neighborhood. I chuckled through teary eyes, looking at the sloping lawn I once sledded down. Through adult eyes, I could see it was a tiny hill. We continued on, driving further through the Air Force Base. Everything looked different. Buildings were gone and a new school had been built where the base chapel once stood. 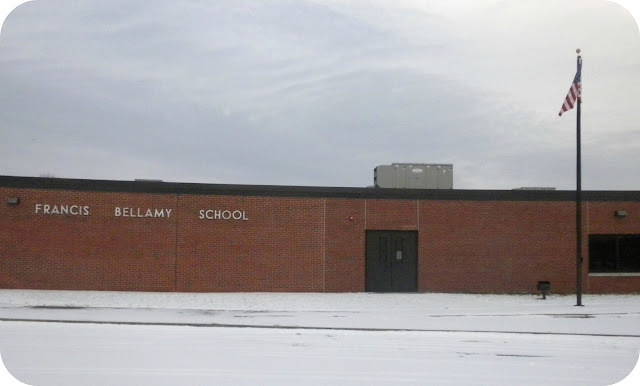 Thankfully, my elementary school was still standing and looked to be in decent shape. Some buildings were kept and maintained, others were re-purposed, while others were abandoned or even knocked down. All of this change got me thinking about life. What was I expecting returning to a place I hadn't been in 18 years? Of course, it would be different. I knew in my head the base had closed and things would look different, but I wasn't prepared for what I saw. My heart was sad. We'd only lived there for two and a half years, not as long as we'd lived in Colorado Springs or Acton, Massachusetts. But I think those years, being age 10-13 years old were rather impressionable times. 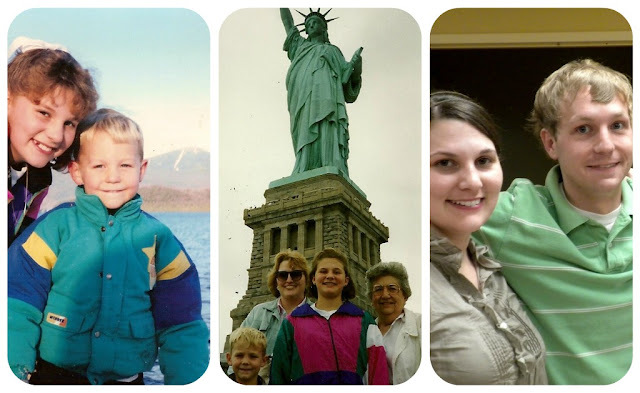 My family took fun trips ((Niagra Falls/Toronto, Cooperstown, Lake Placid and The Statue of Liberty)) I'll always remember. Do you have great memories from living in one particular place? Thank you for posting this- I too lived there, in 1975. 3501 B Jupiter Lane. This brought back so many fond memories! There is a group on facebook for griffiss afb military brats. You should check it out. Probably see a lot of people you know.